​​Simon Birch trained at the Northern School of Contemporary Dance and went on to perform in works by Nigel Charnock, Liv Lorent, Gill Clarke and others. Simon has created works for many of his own projects and has also been commissioned by, among others, Akram Khan, Cscape Dance Company, Freefall Dance and Verve. His work has been toured throughout the UK and abroad. Simon was Rehearsal and Associate Director with balletLORENT for many years. Simon has worked across art forms using film, text, movement and visual imagery; most notably collaborating with visual artist Trish O’Shea. Simon was the recipient of the Wooda Art Award 2008 and was a choreographer on the International Dance Course for Professional Choreographers and Composers in 1995 directed by Sara Rudner and Nigel Osborne. Simon has a passion for education. 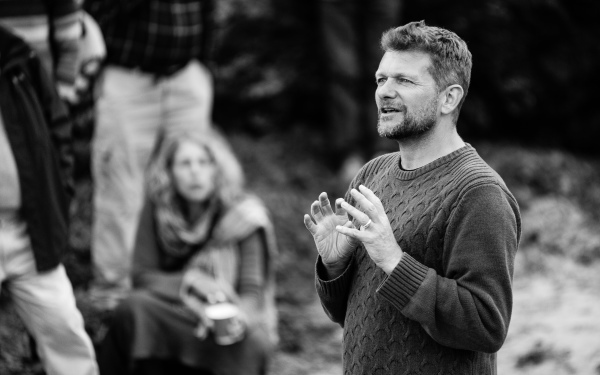 He was a lecturer and Head of Faculty at the Northern School of Contemporary Dance and is currently a part-time Senior Lecturer in dance and choreography at Falmouth University. Her dance for camera work has toured to film festivals internationally, including Budapest, Los Angeles and Beunos Aires. Emily performed in Shoreline and Prideaux Angels. Debbi Purtill trained at Northern School of Contemporary Dance. Her 25 year career includes work across dance, theatre and visual art with ​Nigel Charnock, Herve Jourdet, David Massingham, Paul & Menno Nooijer, Alan Lyddiard and Becs Andrews and also includes a career-long collaboration with Simon Birch. She is an Associate DIrector of balletLORENT and has worked with the company as a dancer and rehearsal director for over 14 years. Her continued professional development inlcudes studying with yoga teacher Godfri Dev and completing her MA in Professional Dance Practice. Debbi performed in Prideaux Angels, Terrarium and Shoreline. Jon Hughes completed a PhD in composition at the University of York in 2015. 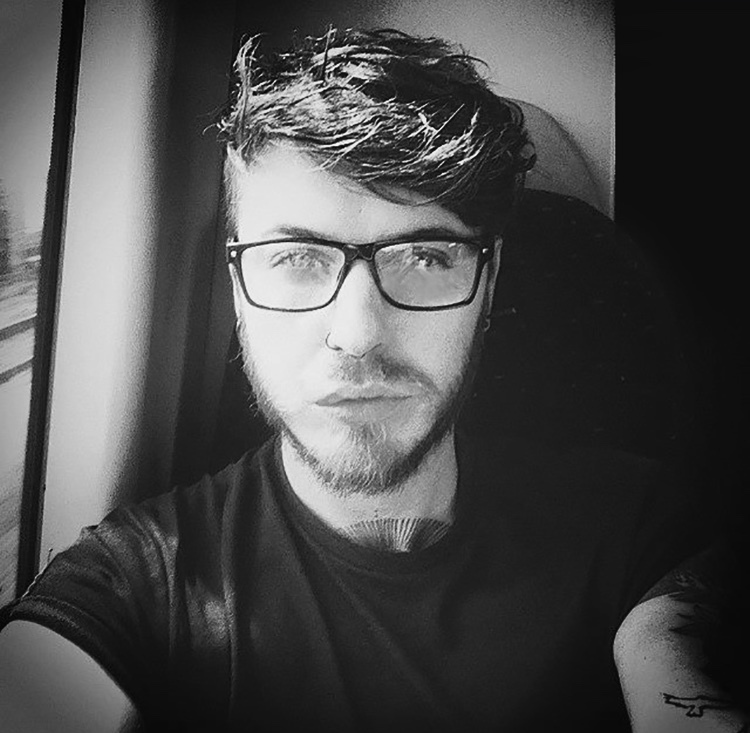 Jon is a sound artist, composer, choir leader and researcher. He collaborates with practitioners from a wide range of fields including dance, visual arts, theatre, biology, physics and archaeology. He has created work for Becs Andrews Company, the Rotunda Museum, Scarborough, the Northern School of Contemporary Dance, Falmouth University, the Late Music Festival, York and more. He has performed with BalletBoyz, touring works by Russell Maliphant, Freddie-Opoku Addaie and Jareck Cemerek. In 2012 Anthony joined Motionhouse Dance Company, touring the production 'Scattered' in the USA and China, and danced with Tanz Lucerne Theater (Switzerland) and Cas Public/ Helene Blackburn (Canada). He began creating work as 'theMiddletonCorpus' in 2010. Anthony performed in Shoreline and Prideaux Angels. 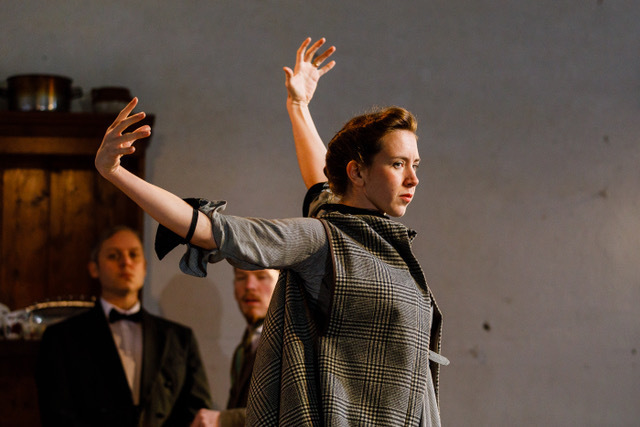 Isabel Singerland trained at Rotterdamse Dans Academie, Copenhagen Contemporary Dance School and the Northern School of Contemporary Dance. She has performed with MiddletonCorpus, Mimmo Miccolis and Monica Nicolaides (Monix Arts). Isabel performed in Shoreline and Prideaux Angels. She has performed with Fin Walker, Kneehigh Theatre, Cscape Dance, The Royal Opera, Thea Sharrock, The People Pile, Jorge Crecis, Tom Jackson Greaves and many more. 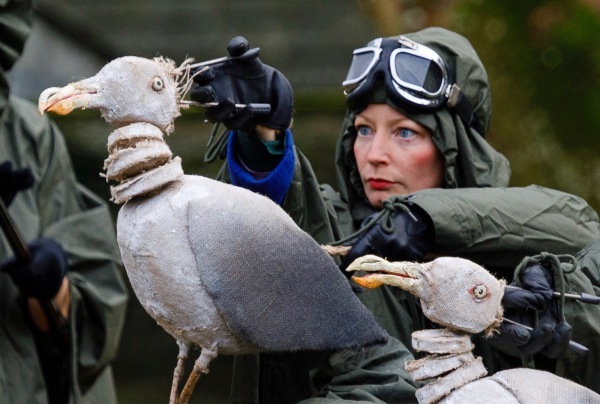 With 25 years experience working in theatre and playing in bands she has worked with Wild Works Theatre, Michael Sheen, The National Theatre, Nottingham Television Workshop, Travelling Light, Horse and Bamboo, Dodgy Clutch Theatre, Braga Tanga, The Underbelly and Femmes de la Mer. An experienced performer, composer and arranger, Claire also leads two community choirs, The Suitcase Singers and The Ingleheart Singers, both of whom took part in Shoreline. Claire was musical director for Shoreline and composed for and performed in Prideaux Angels. 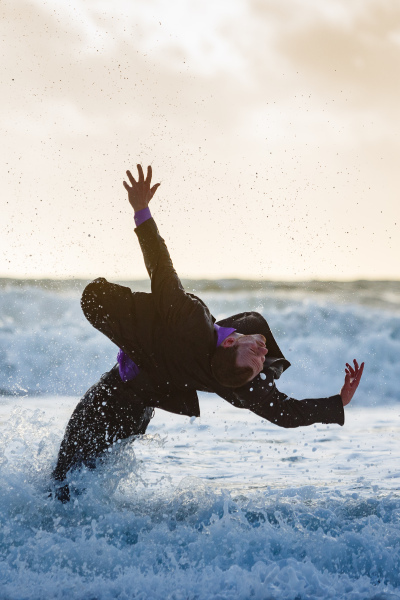 ​Alex Rowland trained at the Northern School of Contemporary Dance. Alex has performed with 2faced Dance Company, Southpaw, Verve 2010, 'theMiddletonCorpus', State of Grace, Experiental Dance Theatre, Peter Groom, TrashDollys Dance Theatre and Lo-Giudice Dance. Sarah Fairhall trained at Laban. Sarah lives and works as a dancer in Cornwall. She delivers dance workshops to all ages and abilities. Recent performance work includes Cscape Dance Company, Eden Project, Wildworks, Physical Postcards and Rosemary Lee. Sarah performed in Prideaux Angels. Jenny Beare studied performing arts in Stratford Upon Avon. 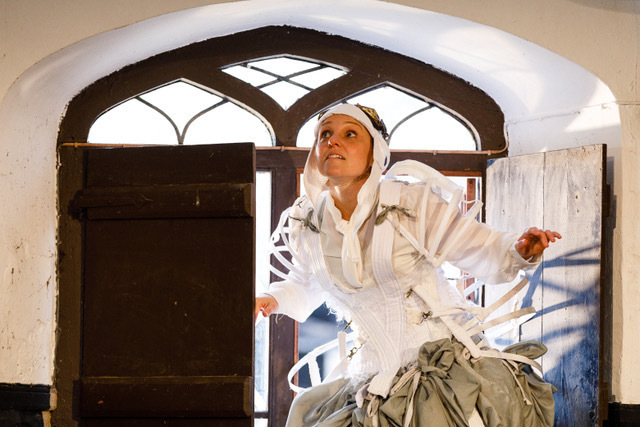 Jenny has worked with Mike Shepherd and the RSC, told stories at the Eden Project and performed with various Cornish theatre companies including; O-Region (One Darke Night), Wildworks (100: The Day Our World Changed), Rogue Theatre (Resurgam, The Hallowed), Trebiggan (Jamaica Inn, Cider With Rosie, The Zig Zag Way), Golden Tree (Kernocopia, Gogmagog) and Light Theatre (The Magic Beanstalk). Film credits include Happy Christmas directed by Mark Jenkin, Tamara (Cornish language film) directed by Will Coleman. 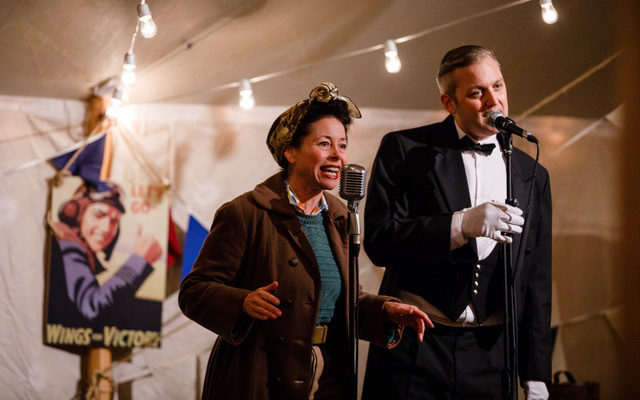 In the summer of 2018 she performed in her second Kneehigh Theatre show The Dancing Frog as part of The Asylum 2018 and toured nationally with Kneehigh’s production of FUP. ​Jenny performed in Prideaux Angels. Kimberly Campanello is best-known for her poetry. 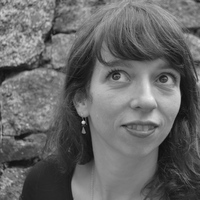 Her published work includes Imagines (New Dublin Press), Strange Country (The Dreadful Press), Consent (Doire Press) and Hymn to Kālī (Eyewear Publishing). MOTHERBABYHOME is forthcoming from zimZalla. In 2018 Kimberly joined the School of English and the Poetry Centre at the University of Leeds as a Lecturer in Creative Writing. Kimberly wrote the script for Prideaux Angels and is the author of the accompanying Prideaux Angels children's book. He is an award-winning set and costume designer working in theatre, opera, music and installation. ​​His works include among others: Party Skills for The End Of The World (Nigel Barrett, Louise Mari + Abigail Conway), Hearty (Emma Frankland), 100: UnEarth and Wolf’s Child (WildWorks). Mydd is Designer & Visual Dramaturg of WildWorks, working with the company since it was formed in 2005. Mydd designed sets and costume for Prideaux Angels. Most recently Sara has worked for Norwegian Cruise Line Holdings in America as Wardrobe Supervisor. Sara worked as Head of Costume on Prideaux Angels. James Southward trained at the Northern School of Contemporary Dance graduating with a first class honours degree and the Carole Woolridge Award for Performance. On leaving NSCD he joined Simon Birch Dance. He has recently performed with Janis Claxton, James Wilton Dance, Tamsyn Russell, Gary Clarke and joined Scottish Dance Theatre in 2013. James performed in Terrarium and Shoreline. Sarah Shead trained at Bretton Hall (UK) and York University (Toronto). She is the Director and Creative Producer for Spin Arts working with artists/companies such as; Carlos Pons Guerra, DeNada Dance Theatre, Earthfall, Sonia Sabri Company, Seeta Patel and Mavin Khoo, to name a few. Spin Arts work with artists from conception of the idea through to world-wide distribution. Recent positions include; Artistic and Business Development Manager at 2Faced Dance Company and Fundraiser for Sonia Sabri Company. Sarah has played an influential role in setting up and delivering artist development schemes such as ‘Catapult’ and ‘Northern Connections’ with the Northern School of Contemporary and CARP with The Civic, Barnsley. Sarah is currently a Trustee for Eclipse Theatre and is a trained relational dynamics coach. Sarah has produced Terrarium and Prideaux Angels. 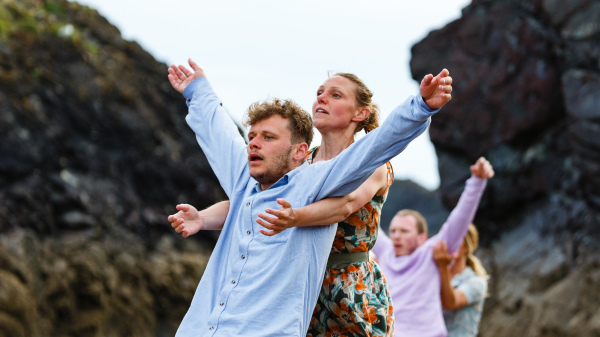 ​He is co-Director of Dance Republic 2, a dance organisation based in Cornwall and curates SALT, a festival of dance in the landscape. 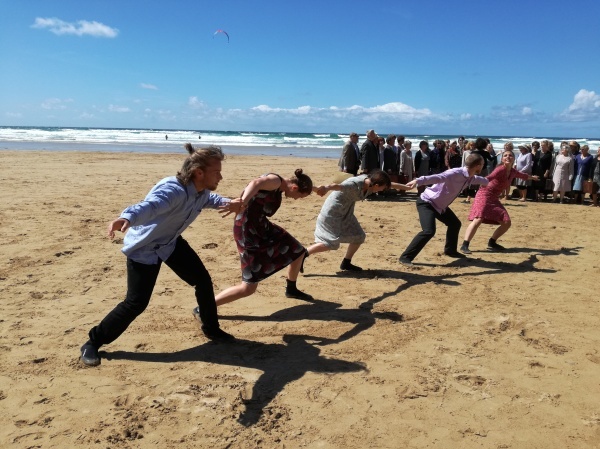 Ruth Pethybridge studied at Bretton Hall College of Arts and completed her practice-based PhD on concepts of community in cross-generational dance in 2017 at Falmouth University. 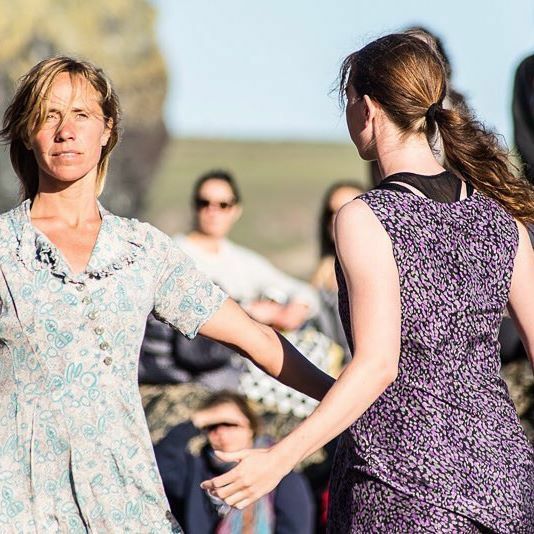 Ruth has worked alongside Rosemary Lee as rehearsal director on ‘Square Dances’ for London festival Dance Umbrella and on PAssage for Par and has also worked as Education Co-ordinator for Shobana Jeyasingh Dance Company. She is a part-time Lecturer at Falmouth University. Ruth was dramaturg for Shoreline. 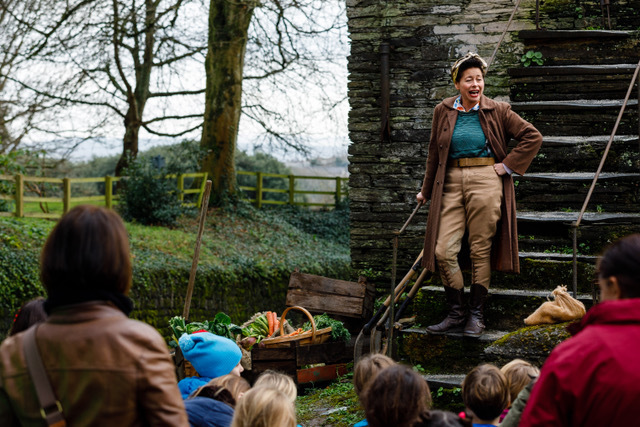 Sarah Waller is a Creative Producer and Educator specialising in performance and community celebrations. Her work is a combination of installation, dance and creative curriculum development. Sarah works collaboratively with teams of artists, performers, teachers, young people and families. Sarah has worked closely with ‘Creative Partnerships’ in both Cornwall and the West Midlands, developing a range of programmes that support schools and teachers in thinking differently about education, working alongside creative practitioners to raise the aspirations and achievements of young people. Sarah led and facilitated the Shoreline schools project.